How many canning lids do you have in your storage? 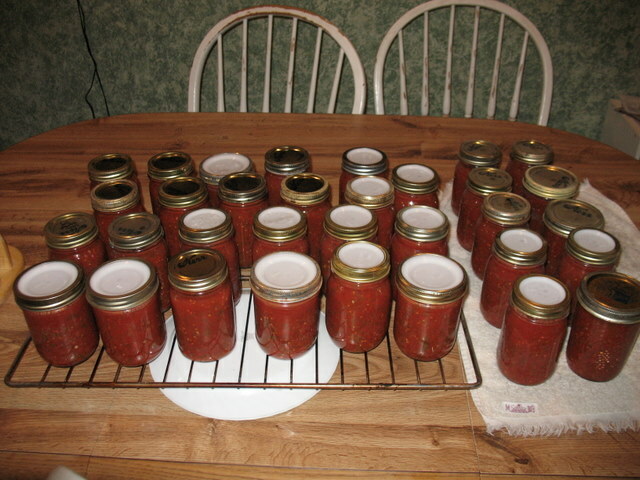 Canning in a long term emergency situation means having the supplies to do it. You’ll need your canner, jars, rings, and of course those pesky lids. Lots of them. Those lids that you can only use once and then you need a new lid. And once you’ve used your stash of lids, then what? Or is there a better way? 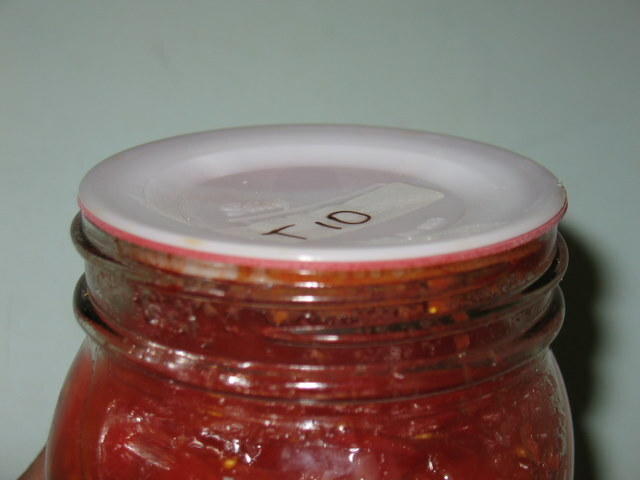 What about canning lids that can be used over and over? Last fall I tried some Tattler reusable canning lids. I canned jam, tomatoes, and salsa with them. 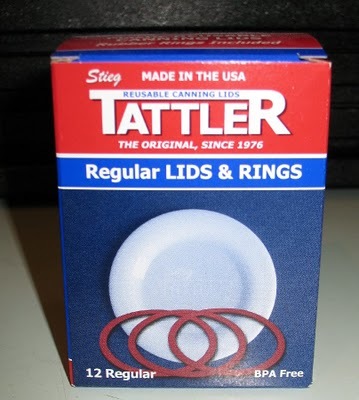 The Tattler company has been making these lids since 1976. They are two pieces–a plastic lid and a rubber gasket. You’ll need the metal rings that came with your jars or you can buy some extras on the Tattler site if you’re short on rings. The lids are BPA free and made in the USA. Tattler has them available for wide mouth and regular jars. The upfront cost of $7.00-$8.00 per dozen is, of course, more than the metal lids, but with regular re-use they pay for themselves pretty quickly. By the time this fall had rolled around, I had a number of lids from jars we had opened, and more canning to do, so all the reusable lids got used again without any problems with seal fails. Also, all the jars from last fall that used the reusable lids that we hadn’t opened are still sealed up fine. Sweet. Needless to say, I’ve stocked up on a bunch of these lids. Now, if you’re canning something to go into your county or state fair, or if you are planning on giving your canned goods away as gifts, use regular lids. When I did the salsa this year, I used some regular lids and some reusable lids thinking I would be sharing some for Christmas. However, sweet husband has since informed me he’s not parting with his salsa, so I guess I could have used all reusable lids! If you do a lot of canning and want to continue in a grid down situation without stocking a crazy amount of metal lids, the Tattler reusable lids are the lids for you. If you don’t do a lot of canning, these lids could also make a great barter item or even a great Christmas gift for that canner or preparedness nut on your list. After my year of testing, I’d say these are definitely a product worth checking out. Given the current prices of metal lids, these aren’t all that much more expensive. Heck after your second use you’ve likely made up the difference. Previous PostPrevious ALERT! Peanut Butter Prices about to nearly double! Next PostNext Keep Your Emergency Preparedness Plans Updated!